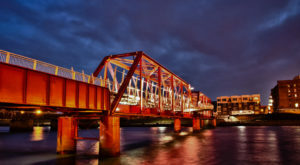 Iowa is kind of famous when it comes to creating stunning bridges. 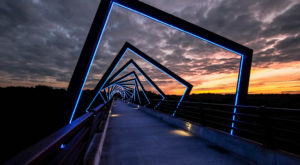 Not only is Iowa we home to the storied Bridges of Madison County, but the award-winning High Trestle Trail Bridge has been named one of the most stunning in the world! 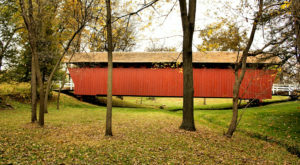 With all of our super-famous bridges getting the spotlight, smaller, historic bridges often get ignored. 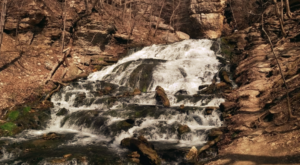 One beautiful, century-old structure in Johnson County is worth a visit if you love vintage architecture. The Sutliff Bridge crosses the Cedar River at Sutliff, near Lisbon, in Johnson County. 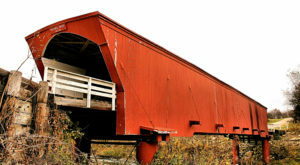 It was built in 1897 and cost $12,000 at the time. 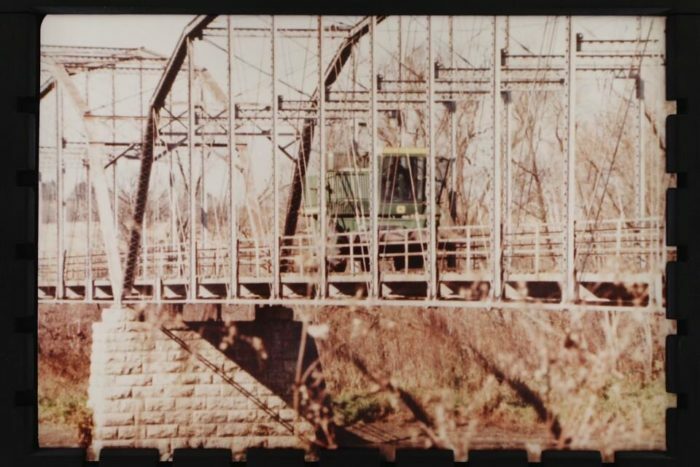 The iconic bridge became a landmark throughout the Lisbon, Iowa area. Their color guard Memorial Day service was famous state-wide! 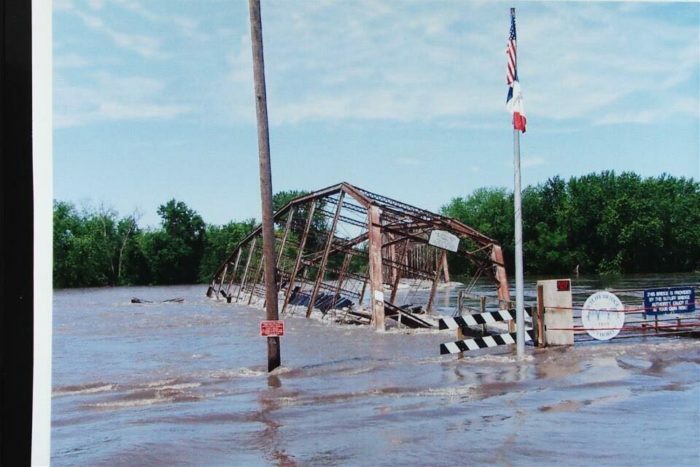 After more than 100 years of carrying Iowans across the Cedar River, a catastrophic flood wiped out part of the bridge on a Friday the 13th in 2008. 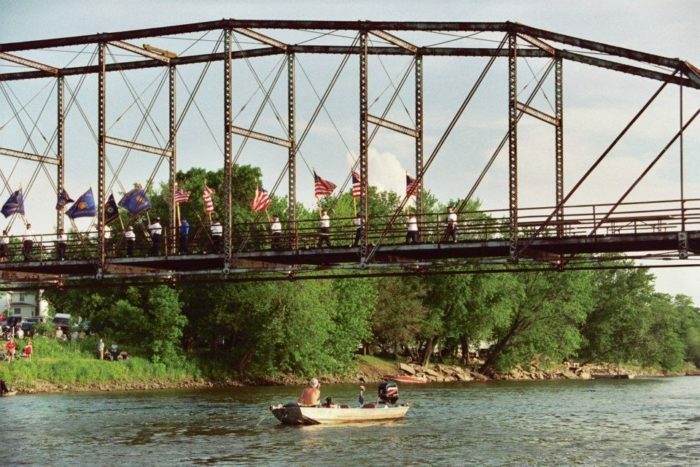 After that fateful June day, the historic bridge stood incomplete. 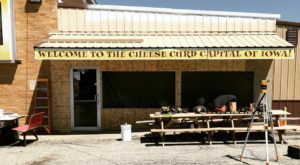 Residents mourned the loss of a landmark. 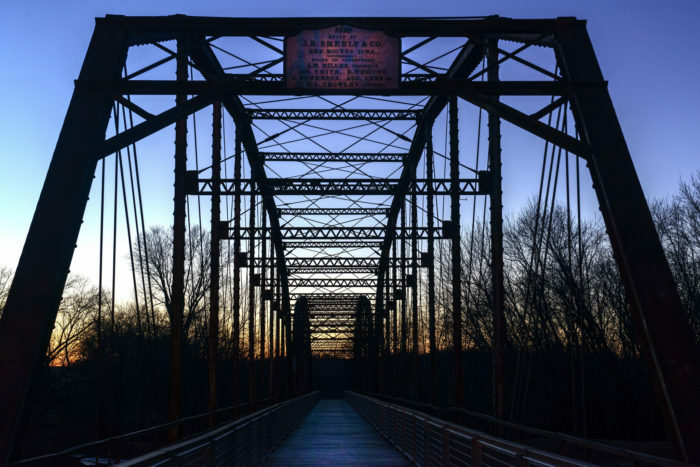 Since the 1980s, the Sutliff Bridge Authority had worked towards conserving and preserving the bridge, but this time, their work was cut out for them. They needed help from FEMA, the Iowa Historical Society, and support from Johnson County to rebuild. 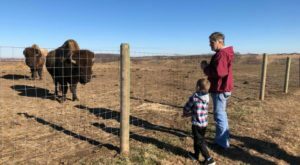 The community rallied around their landmark, and it re-opened in 2012. 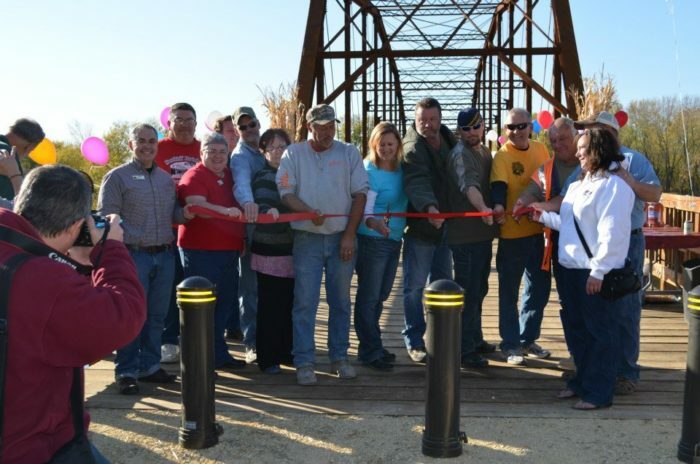 Today, the new Sutliff Bridge spans the Cedar River, like it has for more than a century. 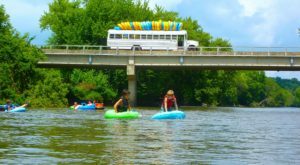 Iowans are proud of their history, and they'll do all they can to keep it on display! 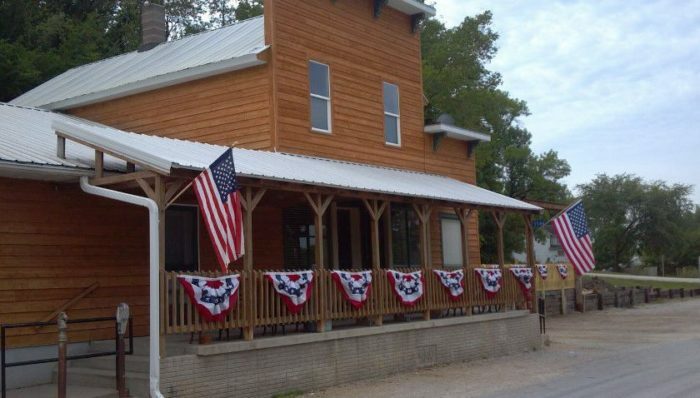 Right next to the bridge, you'll find the historic Baxa's Sutliff Bridge Tavern, which is the perfect place for a meal and a view of the crossing. 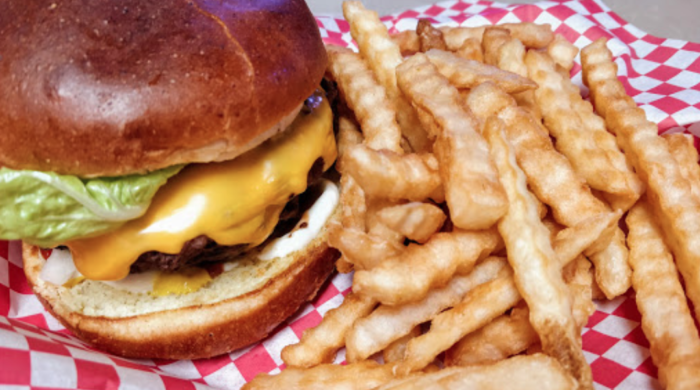 A big hearty meal at Baxa's is a great way to cap of a visit to the beautiful, historic Sutliff bridge. 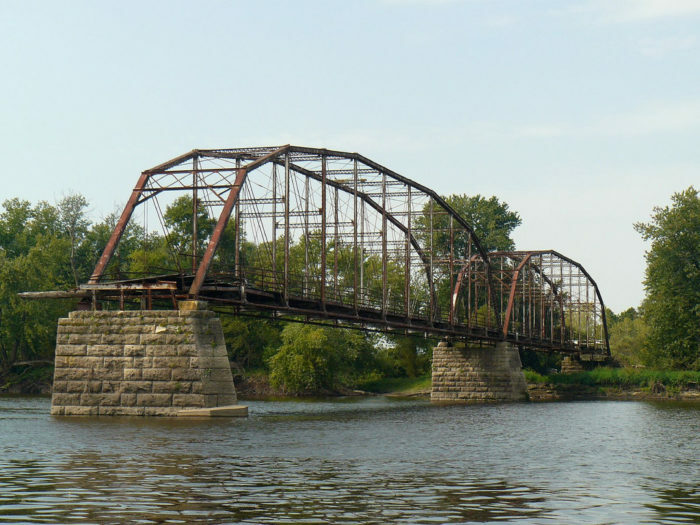 The Sutliff Bridge and Baxa’s Tavern are located at 5546 130th St. NE, Lisbon, IA 52253. 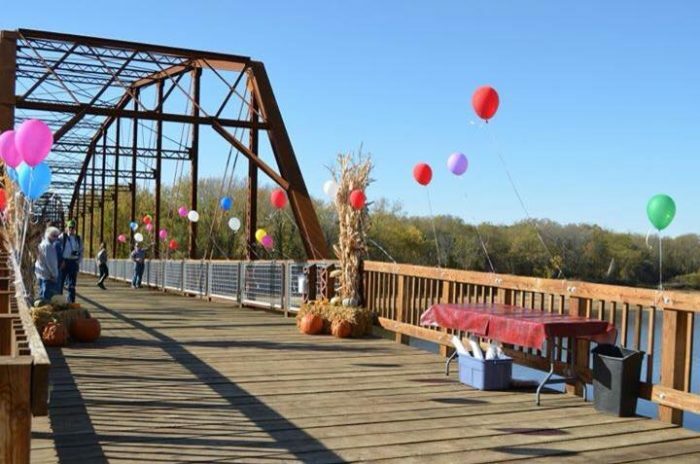 You can read more about the Sutliff Bridge history and current preservation efforts at the Sutliff Bridge Authority’s Facebook Page, and it’s worth visiting in the fall when you can catch beautiful foliage along the Cedar River.